*Terms & Conditions apply. Learn more here. Have you ever entered a room and it just didn't feel right, yet you couldn't explain why? Do you sense a natural comfort with some people but are immediately stressed by others? The truth is that we're all influenced far more than we realize by the invisible energy of the people and places around us. This, along with difficult experiences in your past that still weigh you down, can keep you from being a creative force in your life. Clearing is a gentle but powerful way to release the old stress you're still carrying from your life history, as well as transform how you're affected by the energy around you each day. Many people experience immediate shifts in their energy during a clearing, and significant change often unfolds in the days and weeks afterward. In fact, clearing has even been described as "accelerated meditation" because it can lead to a sense of calm and happiness that typically results only after years of a mindfulness practice. 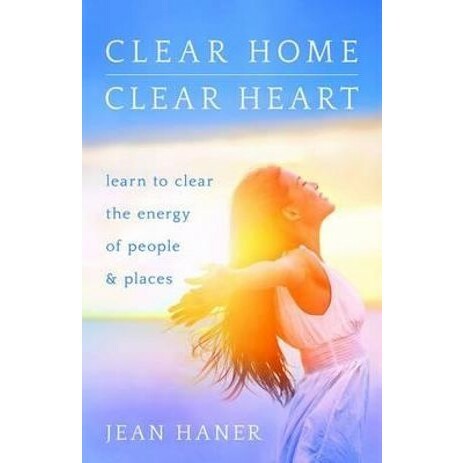 In this simple, elegant guide, Jean Haner teaches you, in easy-to-follow steps, how to clear your own energy or that of any person, as well as bring harmony to the energy of the spaces you inhabit, so you can reclaim your vitality and joy, and open up infinite new possibilities in life. Healers, intuitives, energy workers, highly sensitive people, and anyone who just wants to optimize their energy and live their best life will find this to be the perfect training. Jean refines energy clearing to its pure essence-the power of the compassionate heart! Jean Haner is a natural intuitive empath, able to physically feel and work with subtle energy. Highly sensitive as a child, she easily absorbed other people's stress and was too affected by the energy held in environments. But through 30 years of training, research, and experience, Jean transformed her sensitivity from a challenge into the power to clear and bring balance to the energy of people and places. People all over the world have discovered in Jean's workshops a community of like minds, who support each other in their commitment to a more conscious path, one that is based on the power of the compassionate heart. Booktopia uses the best quality packing material to protect items for the journey from our Sydney Distribution Centre to our customers, with the intention that they arrive in the same condition they left our Distribution Centre. Booktopia uses Australia Post for deliveries throughout Australia. Australia Post will leave the parcel unattended only if it's safe to do so, and take a photo as Proof of Delivery. Please note higher value deliveries may require a signature on receipt. If there is no-one at home to provide a signature, the delivery person will leave a notification card and you may also receive an email letting you know where your parcel is. You need to be logged in to add a review.